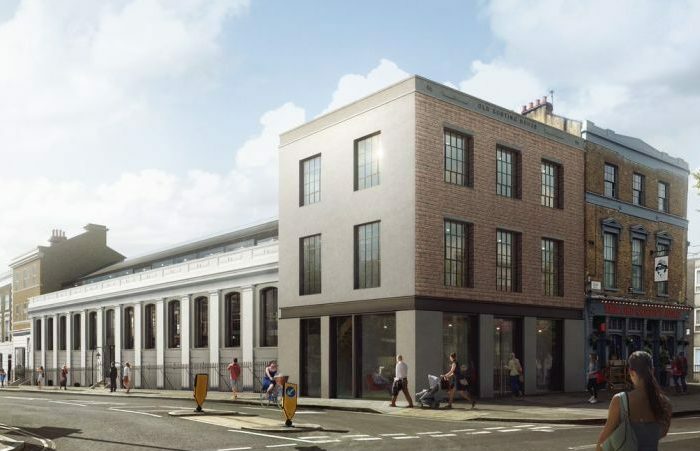 Martin’s Properties, a leading property investment and development company based in Central London and operating throughout the South of England, are pleased to welcome a new customer, New Bridge Health, to its Old Sorting House Scheme in Islington. Established in 1946, the family owned company has grown to become the owner of one of the largest property portfolio’s in Chelsea and has continued to expand its portfolio across London and the South East. New Bridge Health, trading as Zava is a fast growing online dispensing pharmacy service offering a convenient treatment service for men and women operated by a team of qualified doctors (www.zavamed.com). Zava will occupy the premises as their global HQ. New Bridge Health has agreed a 10-year lease on the recently completed space totalling 21,670ft2 (2,013 m2) at £60 per sq ft. Originally built in 1855 by the Postmaster General as a landmark building for the Northern District Post Office, the building was converted into The Coronet picture theatre in 1911. Post-war, the building was used as a hardware merchant’s warehouse, an antique shop and a furniture store. Acquired by Martin’s Properties in 2016, working with leading architects, Ben Adams Architects, the four-storey building has been substantially remodelled to create a contemporary office, the lower three levels offering interconnecting floors, the top level being a self-contained floor with a generous roof terrace. The restored building has a modern twist on its industrial heritage including exposed services and structure behind its striking classical elevations fronting on to the corner of Essex Road and Packington Street. Martin’s Properties were advised by Colliers City Fringe team, New Bridge Health represented themselves.